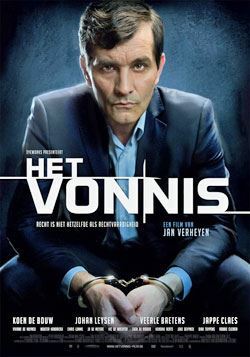 Flanders House and Vlaamse Club Londen would like to invite you to a screening of Het Vonnis (2013; also known as The Verdict), directed by Jan Verheyen. Critically acclaimed, the movie challenges the viewer to reflect on the possible flaws of modern judicial systems. The screening will take place on Wednesday 24 February 2016 at 7pm at Flanders House (1A Cavendish Square, London W1G 0LD). This is a free event but places are limited so please register to secure your place (including people who have rsvp’d through Facebook). Nibbles and drinks will be provided.